Treat yourself to a night out on the town during your next vacation! Jackson, MS, is one charming city that offers outstanding entertainment in a wide variety of different venues. However, one of the best venues in Jackson, MS, is, without a doubt, Duling Hall. This amazing center hosts some of the finest concerts, shows, and performances around. Discover why you will love attending a show at this great spot and start making plans to see your favorite performer at Duling Hall in Jackson, MS! Duling Hall is located at 622 Duling Avenue in Jackson, Mississippi. You’ll easily spot this venue right away due to its unique, historic appearance that features beautiful stained glass windows. It was once an elementary school in the 1920s, giving the space a classic and vintage vibe. What are Some Examples of Duling Hall Events? The Duling Hall events calendar is filled with a wide variety of exciting events that appeal to all ages. Some of these concerts and shows held at Duling Hall in Jackson, MS, include bluegrass music, rock concerts, ballets, off-Broadway shows, stand-up comedy, seasonal events, and much more. Duling Hall has been recognized numerous times over the years for being one of the best live music venues in the city. Stay up-to-date with their calendar and “Like” their Facebook page so you can receive the latest updates on their upcoming shows! How Can I Buy Tickets to the Duling Hall Events? Tickets to the popular Duling Hall concerts can be easily purchased online through their website. You can also get your tickets by calling their office at 877-987-6487. Can I Host my Own Event at Duling Hall? This is one of the best venues to host a private event! A Duling Hall rental can easily be arranged by calling their office. You can also fill out their form online to check their availability. This is a fantastic option for a birthday party, family reunion, corporate event, and much more. Make the most of your getaway to Jackson, MS, by treating yourself to a weekend in the finest accommodations possible! Fairview Inn is the perfect place for you to unwind; our bed and breakfast in Jackson, Mississippi, not only offers comfortable rooms and suites, delectable dining, private lounge, library, and game room, but we also have our very own spa for you to enjoy. Choose from exploring the many attractions of downtown or simply reveling in the comforts of our cozy inn and its relaxing, peaceful environment. You’re bound to love what we have to offer in our rustic haven of Mississippi, so don’t hesitate another moment; check our availability and book your stay today! 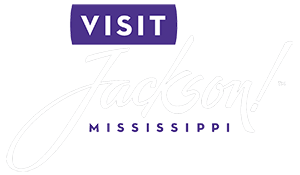 To learn more about the many things to do in Jackson, MS, like attending exciting entertainment at Duling Hall, download our free Vacation Guide!